Version 5.8.0 of the firmware for the IsatPhonePro has been released on 23 March 2015 and is a mandatory upgrade. Version 5.11.0 of the firmware for the IsatPhonePro has been released on 12 October 2015. Version 5.17.2 of the firmware for the IsatPhonePro has been released on 24 April 2017. If you purchased an IsatPhonePro from Zippisat before this date, it is recommended that you upgrade the IsatPhonePro's firmware to version 5.17.2. If you have trouble connecting, Inmarsat will always request you to upgrade to the latest version before enhanced support is provided. So, rather upgrade to the latest version before your next trip. When upgrading, upgrade to 5.17.2 since it is a latest version. It is was mandatory to install version 5.3.0. before 18 November 2014 ("final extended date"). This upgrade enabled connection to the new Inmarsat Alphasat I-4 satellite above Africa (after 12 November 2013). Version 5.3.0 had serious bugs and version 5.8.0. was release shortly afterwards and is considered mandatory. Version 5.11.0 was released on 12 October 2015 and fixes some minor bugs. Version 5.17.2 was released on 12 October 2015 and fixes some minor bugs. IsatPhonePro phones that are not upgraded to version 5.8.0. (or later, e.g. 5.17.2) will not be able to register to the network in all locations. If you would like to check on which firmware your IsatPhonePro currently is on, please go to MENU>SETTINGS>ABOUT. It should be version 5.8.0. (or later, e.g. 5.17.2) - version 5.3.0. does not work everywhere! NOTE: The latest version of USB drivers and IsatPhonePro firmware upgrade tool must be installed. New USB drivers and a new IsatPhonePro firmware upgrade tool were released on the 24 April 2017. Please uninstall the current USB drivers and firmware upgrade tool, reboot, then install the new USB drivers and new IsatPhonePro Firmware Upgrade tool (v2.3). It is not advisable to use the CD that came with the phone since it might be outdated. Rather use the latest files from the updated links in the upgrade email or the links below. You need a Windows PC to use the firmware upgrade tool (you cannot use a Mac or Linux system). Make sure your IsatPhonePro battery is over 40% charged. You can use any micro-USB cable for the upgrade e.g. the micro-USB cable that was supplied with the IsatPhonePro. Save these compressed USB Drivers file onto your computer, then, extract (right click, "Extract All"), then run the install programs (Setup.exe). Save the FirmwareUpgradeTool.exe file and run it (left double click). Information on this page is for the IsatPhonePro, not the IsatPhone2. 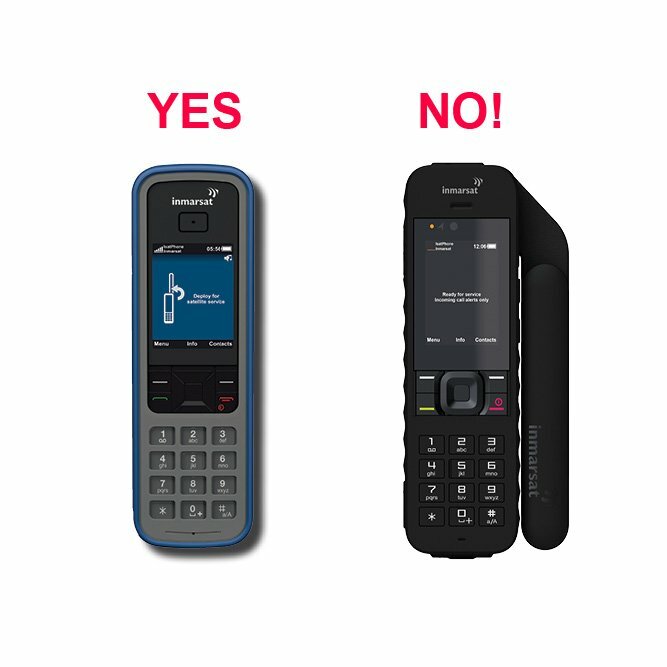 The USB drivers, upgrade tool and firmware for these 2 phones are not compatible. See the IsatPhone2_upgrade page for the IsatPhone2 upgrade procedure. The 24 April 2017 release has new USB drivers and a new Firmware Upgrade Tool. Firstly, uninstall the previous USB Drivers e.g. Press the Windows Start key, then type 'program', then select 'Programs and Features', then select 'IsatPhonePro USB Drivers', then uninstall the previous drivers. REBOOT. Yes, please REBOOT after uninstalling the previous USB drivers. Then, uninstall the previous Firmware Upgrade Tool, e.g. Press the Windows Start key, then type 'program', then select 'Programs and Features', then select 'IsatPhonePro Firmware Upgrade Tool', then uninstall the previous Firmware Upgrade Tool. Disconnect the IsatPhonePro from the PC if it is connected. *The new USB drivers is generic and compatible with both the IsatPhonePro and IsatPhone2. You must run the Setup.exe application from the extracted folder, not directly from the comressed zip archive. Disconnect the IsatPhonePro from the PC if it is still connected. Start the "IsatPhone Pro firmware upgrade tool" by going to "Start > All Programs > IsatPhone Pro > IsatPhone Pro firmware upgrade tool". Select the firmware upgrade package from the location where you extracted it to. Then follow the instructions. When it gives you the message that the upgrade is complete, you can check the new version is successfully installed (MENU>SETTINGS>ABOUT). It should be version 5.17.2. Congratulations, your IsatPhonePro is now upgraded! Go outside and test the phone e.g. with a balance enquiry (dial *106#) or dial the free test number +8707 76 999 999.